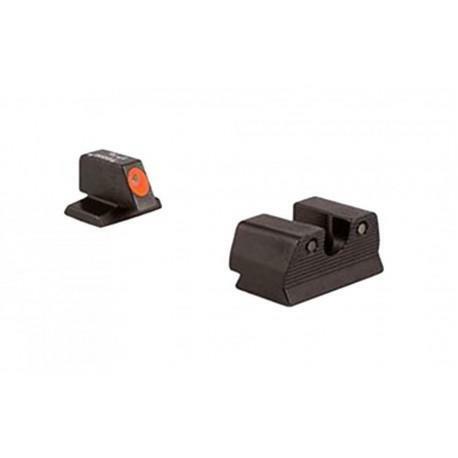 Trijicon HD night sights were specifically created to address the needs of tactical shooters. The front sight features a taller blade and an aiming point ringed in photoluminescent paint while the rear sight is outlined in black and features a wider U-shaped notch. This unique configuration increases visibility and quickens front sight acquisition even in transitional lighting. Additionally the front surface of the rear sight is steeply hooked to assist in emergency one-handed slide operation. The HD night sights are designed to shine even in the most demanding conditions. Yellow front outline. MAGPUL MBUS REAR FLIP SGHT GEN 2 BLK.